A Reader's Adventure! 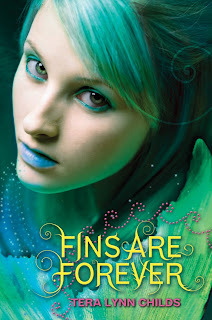 : Fins are forever cover reveal! Hey guys! Today I have the special chance to be one of the bloggers with the chance to reveal the cover for the next book in Tera Lynn Childs' Fins series! Isn't it gorgeous! Fins Are Forever tentatively comes out on June 28, 2011! Tera has created a countdown widget that you can post on your blog! You can find it here. And while you are at it why don't you let Tera know how much you like it! Stunning! What a gorgeous cover!